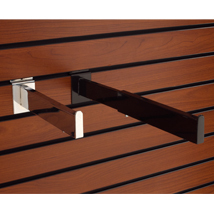 This chrome rectangular faceout for slatwall is adjustable. It can adjust to 9 in.- 12 in. or 15 in.